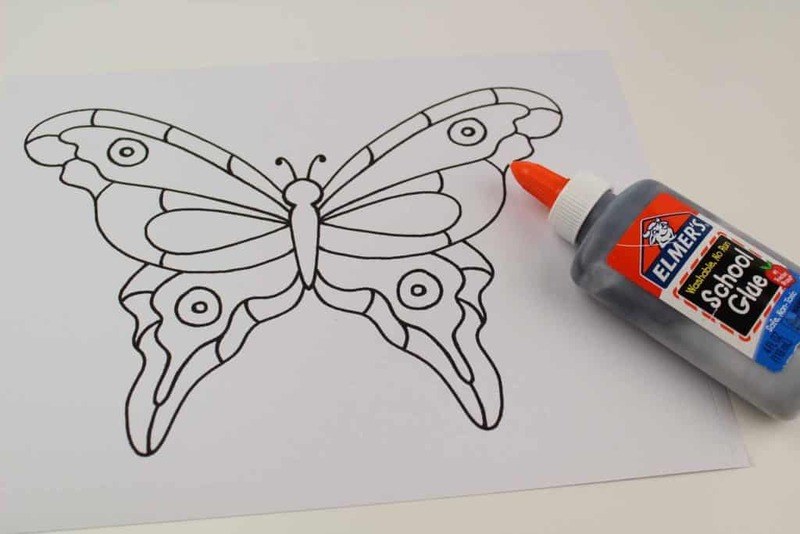 Butterfly Black Glue Craft for Kids - Toddlers Can Do This Too! 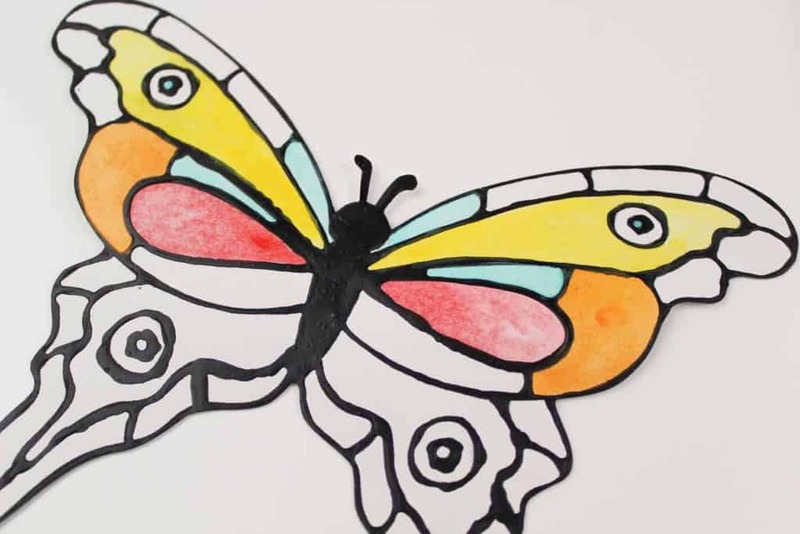 This colorful butterfly black glue craft uses black glue to trace a printable template, and watercolors to fill it in. 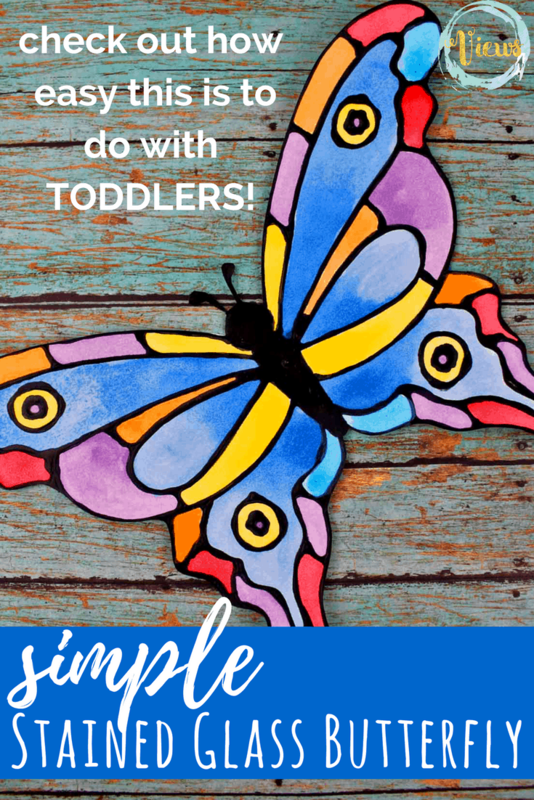 Easy for toddlers or ‘big’ kids! 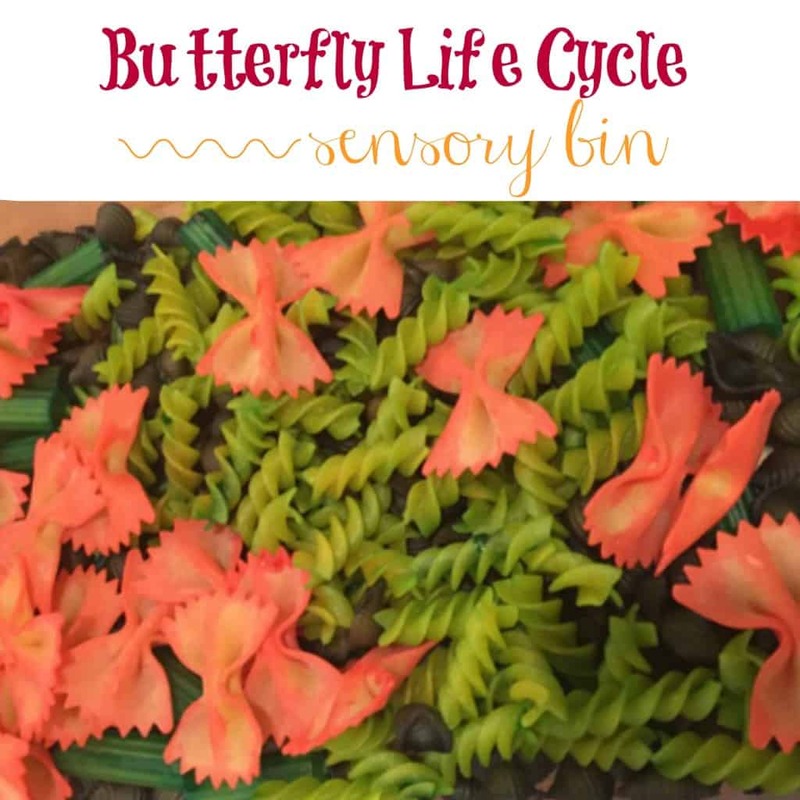 Crafting with kids is such a fun way to bond and connect while having fun and creating something beautiful! 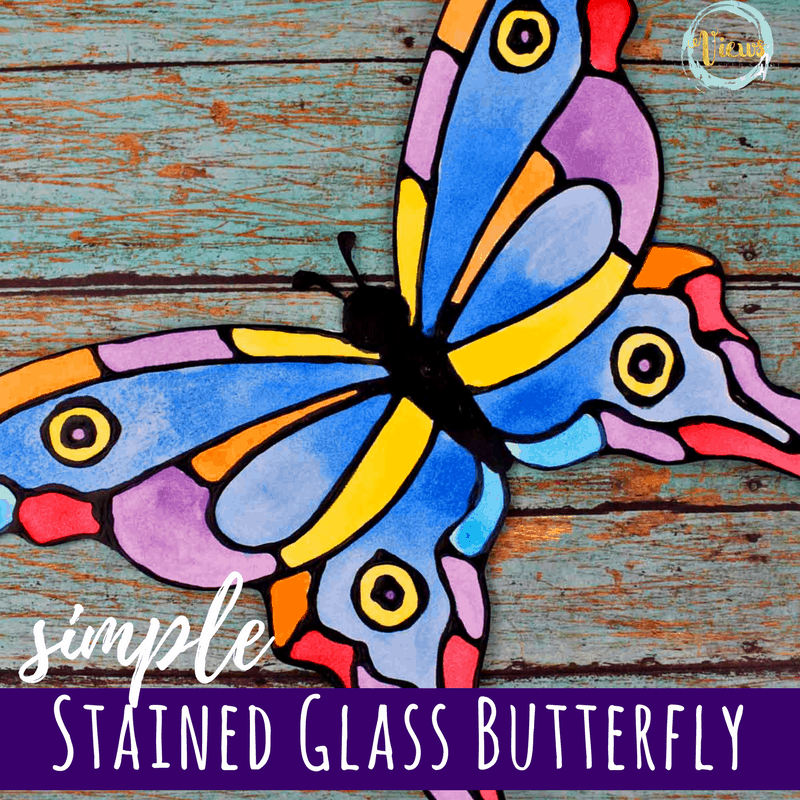 As always, crafting is about the process and not the end result. 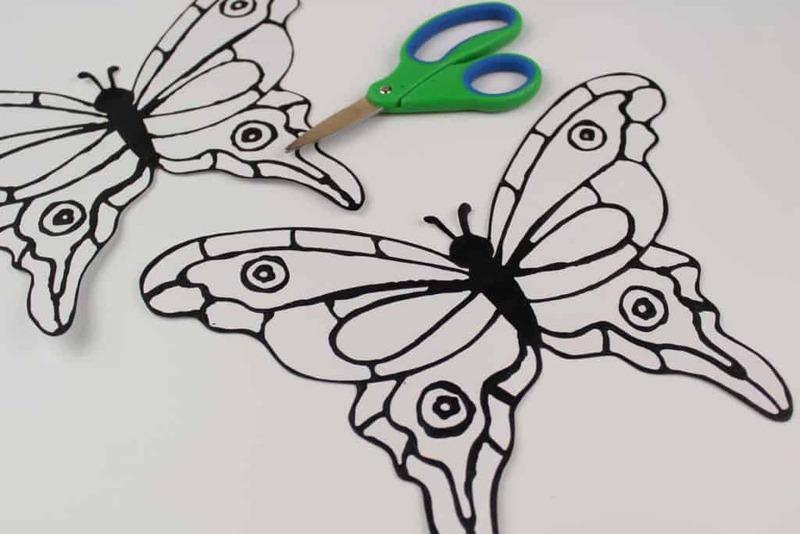 So, if your butterfly black glue craft doesn’t turn out exactly like ours, that’s ok! Kids love to show their creativity. 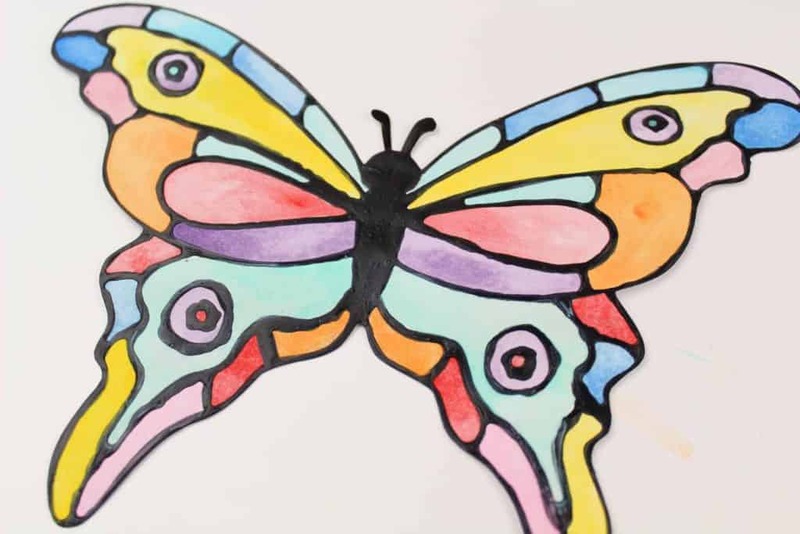 Mix up a batch of black glue to create this fun and colorful butterfly. 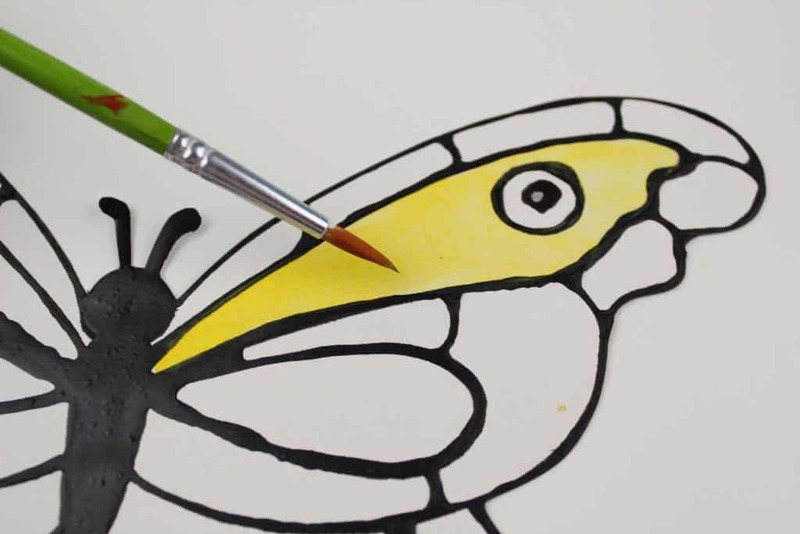 For older kids, simply print the template and allow them to trace the lines with the black glue and let dry before painting. 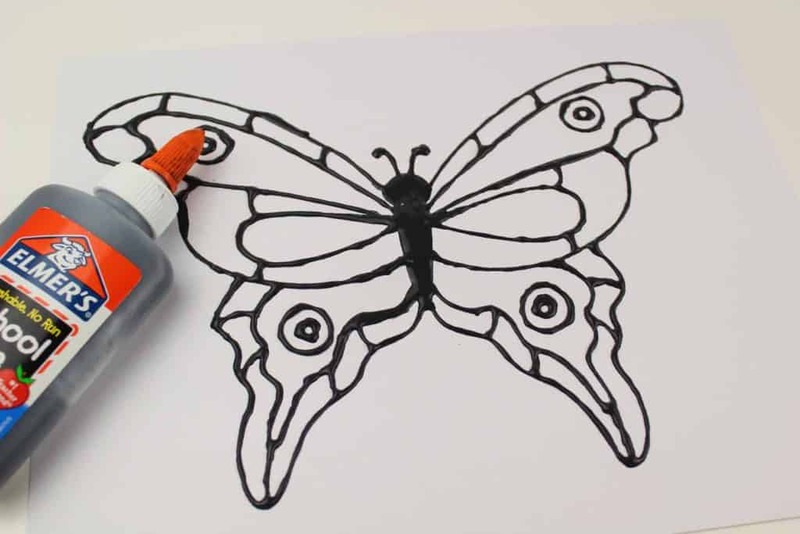 To do this black glue craft with younger children, trace the lines with black glue and let dry ahead of time. Then, just will be able to just fill in each area with the colors of their choosing. 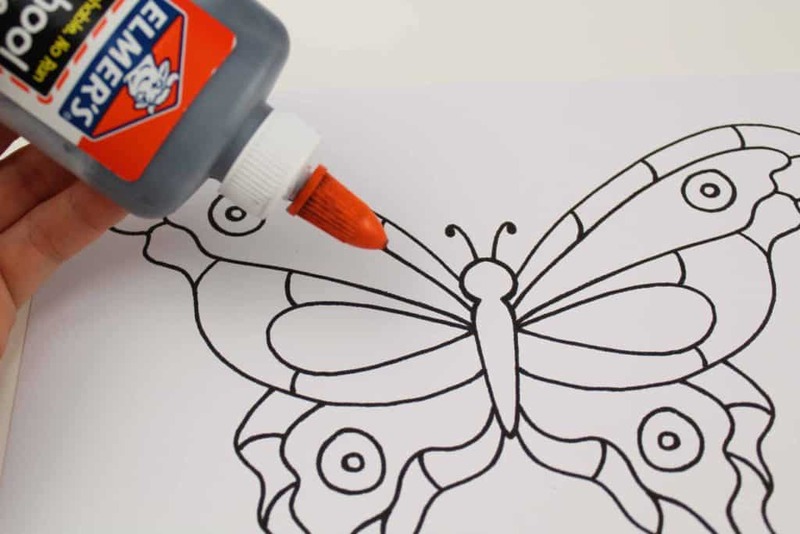 Open the top of a half empty bottle of glue. Squirt a good amount of black paint into the bottle. The glue will look a dark cloudy gray. Put the lid back on and shake well. 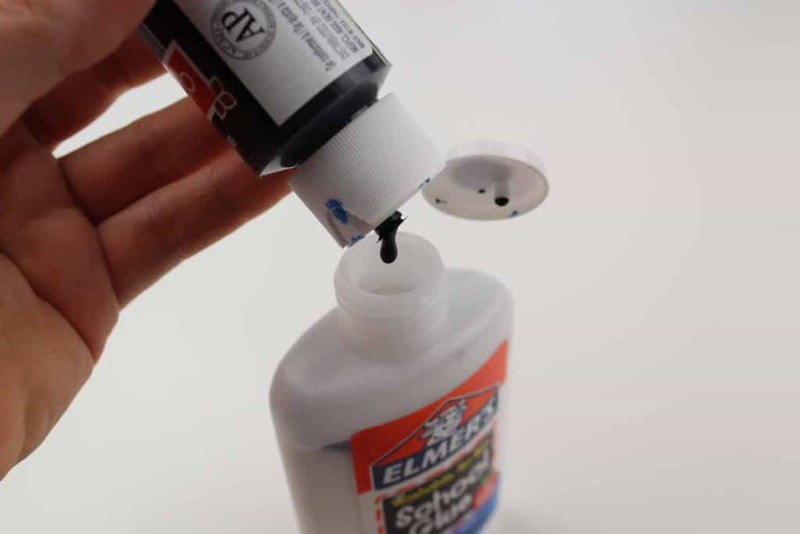 If the glue is not shaking together, squeeze into a cup, mix and use a funnel to pour the black glue back into the bottle. 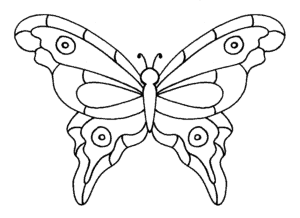 Download and print out the butterfly template above. TIP: DO THIS STEP AHEAD OF TIME WITH TODDLERS – THEN THEY CAN PAINT IT INDEPENDENTLY! Trace the template with black glue. Allow the glue to dry completely. Place in the sun or allow it to dry overnight. 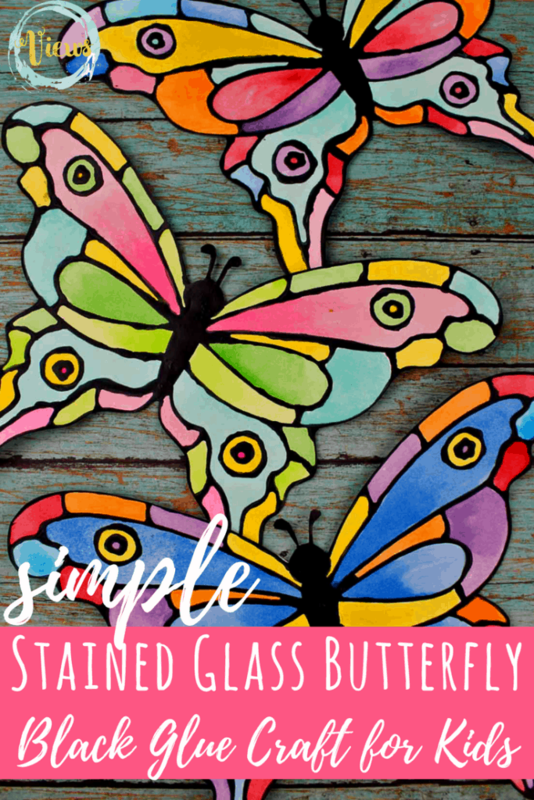 Use watercolors to paint the butterflies. 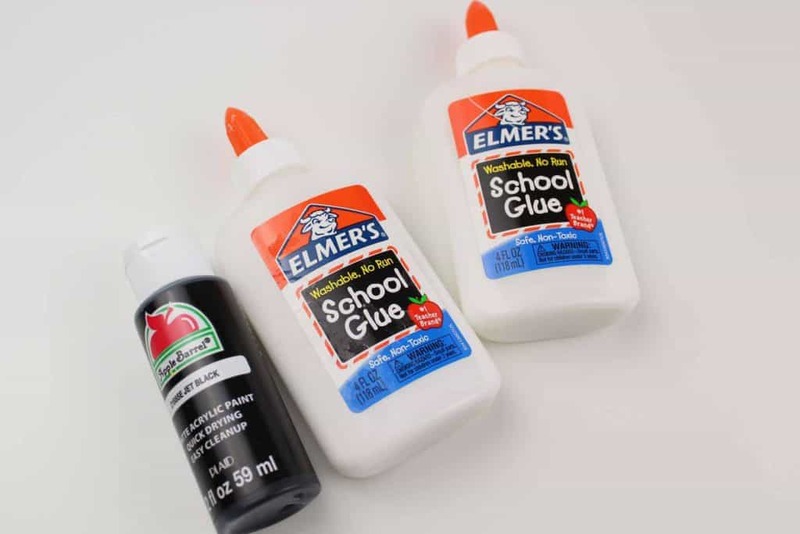 The black glue will keep the colors from bleeding into other areas. Allow the paint to dry completely. 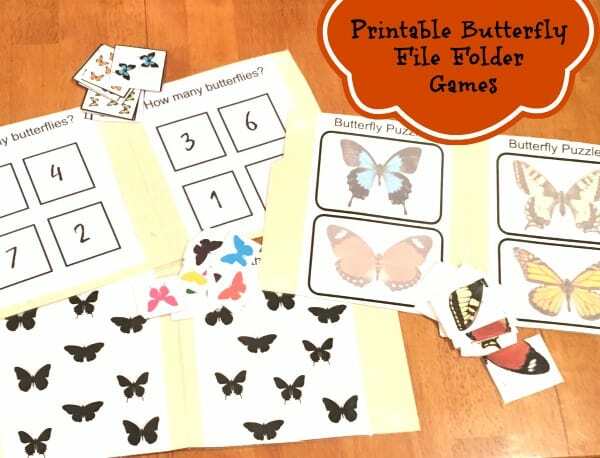 Your butterfly craft is finished! 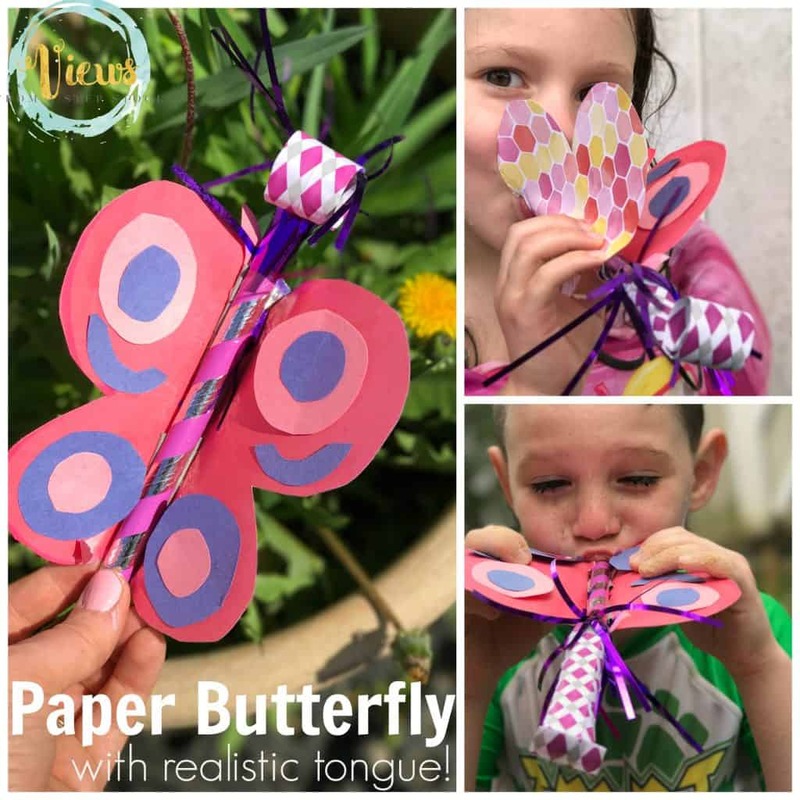 Bonus: Make two of the same butterfly, glue together and hang from fishing line! Enjoy!